Child Sponsorship provides hope and belonging for abandoned children like Manjeri. Manjeri is such a smart young girl whose future is bright. To her, the sky's the limit. She is a sweet, social, and gifted singer whose school performance is inspirational. But Manjeri has a hard story. When she was just in Grade 4, her parents were forced to abandon their children. Extended family disagreements compelled her father to leave home. Her mother looked for ways to support the family but eventually married another man. It is unclear why, but the new husband could not allow the children to live with him since they were not his biological children. This situation left Manjeri and her brothers and sisters to live on their own. Manjeri and her siblings struggled with life, and more so, with school. Sometimes she was tempted to drop out of school since she couldn't see a friendly or productive future without immediate caregivers. Thank God, when FH started to enrol sponsored children in Marare, Manjeri and her sister Sumaya renewed their hope of attending and finishing school. “Our parents abandoning us and choosing to live far away from us tempted me to think that our family was probably bewitched since I kept hearing people in our village talk a lot about it,” she recalls with strong emotion. “Before FH came to our rescue, all my siblings and myself were the laughing stock of the village since we looked like we were orphans without a future." “But thanks be to God for bringing many friends from FH who picked me up from my broken pieces and encouraged me to attend school. They supported my education with school materials, fees payment, uniform supplies, meals, and improving our school learning environment. They also encouraged me to join school clubs to better my speaking skills, which I accepted. "Today, I am very thankful to God and FH for making me who I am. I can now address people without fear, I can sing and compose music or songs, and above all, I have come to know Jesus Christ as my Lord and Saviour who remains the father for the fatherless and the husband to the widow,” Manjeri continues with conviction. Manjeri hopes to become more skilled in music composition, writing, and joining the world of experts not only in music but also serving her community in any area she can. “I remember very vividly the time we were called by FH to attend Bible study class. The FH staff asked us what we wanted to be when we grew up and I quickly shouted teacher or nurse. My grades in class have been progressively promising and in the process, I have on many occasions coached my siblings and schoolmates with lots of Christian songs, some of which are just created in my mind,” she explains. Manjeri now believes that God is perhaps leading her into the music industry where her teaching skills are being exhibited. “Even with the absence of my parents, I now feel a sense of belonging because God brought me friends from FH who became my aunties and uncles. 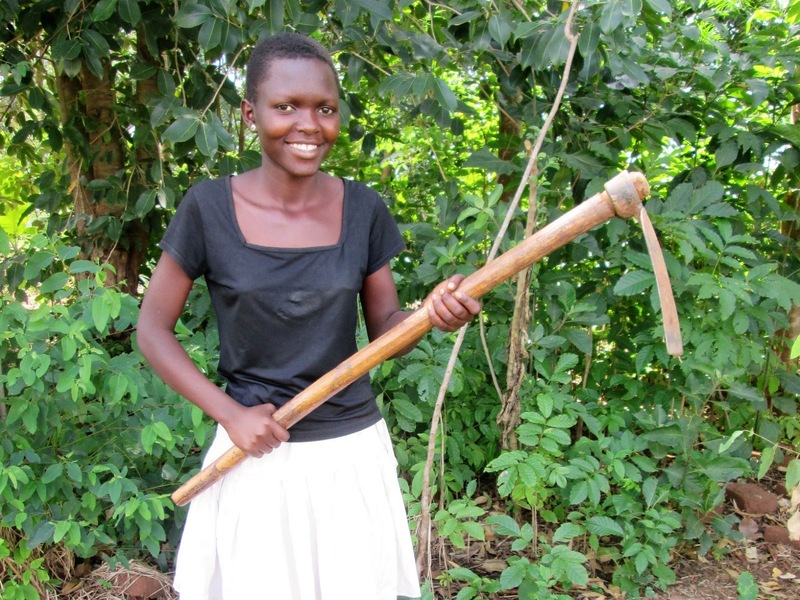 I now feel God loves me through the smiles that these FH staff bring along,” Manjeri shares. This little, soft speaking girl who was enroled in the FH sponsorship program in 2011 is equally proud of her Canadian Sponsor from Northgate Baptist Church who has cared for her through constant financial and prayer support. She is equally thankful that her sponsor came to visit her. These visits have continued to inspire Manjeri to the level she is now. She hopes to write her national examinations and prepare for either advanced level or college training.